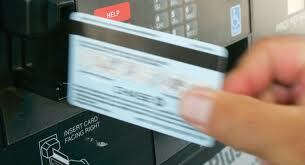 4 risky places to swipe your debit card | Coptalk.Info - What you do not know will shock you! Its nice to be able to read and find info on your web page. I slide my debit ti avoid having cash on me. A big mistake, I am on a fixed income and shop local, and a thief has to steel and rob folks. We should be secured from OUR government. I will have to use cash I guess. Thank you for the article.